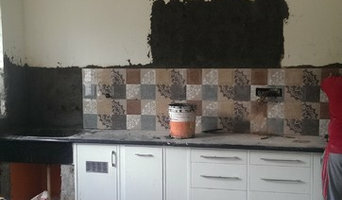 Hyderbad based Construction company; focused on Buildings section. 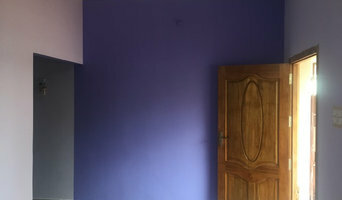 We do take up interiors like- modular kitchen, master bedroom, home theatre., etc. BUILDING CONSTRUCTION ,INTERIOR WORK ,SPECIALIZATION IN RESIDENTIAL AND COMMERCIAL PROJECT , RENOVATION WITH NEW DESIGN IDEAS WITH SKILL TEAM AT BHOPAL AND NEAR LOCATION. We are successfully running our business for the past five years at Thanjavur and Tirchy. Our only motto is “Quality construction and Timely delivery”. Design and Build services, the latest trend in the residential construction market especially in metro cities is picking up extremely fast, as busy client lifestyles have made it impossible for DIY way. With over thirty years of experience in the field, our individual home construction contractors provide the best possible services to our clients looking to construct independent houses, in best cost. HOW WE WORK 1. Tell us Your Requirement Call, message, whatsapp or fill our contact form and explain about your exact requirements & preferences. 2. Get Expert's support Talk to industry experts with tons of real life experience on projects - FREE. Get a clear picture before you start. 3. Scope - Budget - Duration - Terms Get detailed estimate for the project with all itemized prices, time line for completion, budget and terms. 4. Start project After you study, understand, satisfy and finalize the estimate - you can start off with the actual project work. 5. Project progress updates Our milestones based reporting with site photos and videos will keep you relaxed through out the project process. Getting easy Construction solutions for busy scheduled clients, for whom our one point of contact for all activities involved in an Construction project is highly valuable and appreciable till the end. Olive Lifestyle is a decade old construction company with the specialization of building the solar power plant and residential apartment/Villas. Apart from these we also specialize in painting, electrical work, landscaping, hardscaping, plumbing, fencing, tiling and road construction services. We finish construction projects on time and within your budget. Since 1990, Racheta has been serving the niche segments including Premium Residences, Hospitality, Corporates, and Developers with its differentiator of Perfection.. Leading Flat Promoter & Construction Company in Chennai.When it comes to making your dream home,We are the Best Building and Construction Contractors ..
Hello! I am Kanhaiyalal Mewada from Kandivali east, Mumbai. I am an experianced Furniture/Civil Contractor working since 1990. I had Worked with Architects, Interior Designers and Contractors too. I am here to grow my connections and network with architects and interior designers to work with them. Thank you. DIVYA CONSULTANTS is a Structural and Architectural firm that specializes in all kind of architectural designing in commercial ,residential, institutional, hospitality project as well as in interior designing projects. 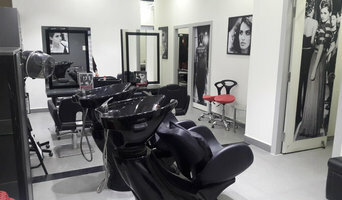 Based at Shanthala Nagar, Bangalore, Karnataka, we are a top player in our field. We are well-known establishment acting as a one-stop destination servicing customers both local and from other parts of the city. Over the course of our journey, we have established a firm foothold in this industry. The belief that customer satisfaction is as important as their products and services, have helped us garner a vast base of customers, which continues to grow by the day. We employ individuals that are dedicated towards their respective roles and put in a lot of effort to achieve the common vision and larger goals of the company. In the near future, we aim to expand our line of products and services and cater to a larger client base. 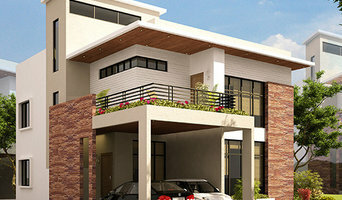 Inmarc Ventures provides Project Marketing, Construction, Interiors and Services to the Clients. We help Clients by generating sales leads in project Marketing, quality materials in Construction, Best interior designing and execution in interiors using customer requirements. We make it easy for customers to hand off projects and get back what customer need, when customer need it. Our company experience crosses many Projects from 1200 sft to 48000 sft. We encourage our clients to explore new ideas and approaches about upcoming trends in the market, we build projects from small individual houses to multistoreyed apartments, the end result is a positive experience for customers. Why should I hire a contractor or civil engineer? Civil engineers or building contractors, often play the role of a project manager. They oversee the entire remodeling or new home construction project and facilitate all day-to-day tasks that move it toward completion. Construction contractors can be involved from an early stage and can work closely with the architect to review plans, arrange for permits and inspections etc. In addition, general contractors are responsible for hiring subcontractors for the majority of jobs, such as electrical work, painting or plumbing. Most importantly, contractors should be on-site regularly to inspect the progress and resolve issues and track progress. Finding a dedicated contractor to build or renovate your home can be a challenge. Choosing the wrong contractor can lead to delays, bad quality of work and even legal problems. To avoid such problems, it's essential that you do your homework before deciding on the right general contractor. Research civil engineers and contractors on Houzz, look through their work and read reviews to understand their style before you reach out to them for bid or quotes. One you have narrowed down your choices, meet with them to discuss a few aspects like the details of your project, the budget and the timelines. Also, always insist on having a written agreement before getting started on the project. Find a good contractor or civil engineer on Houzz. Narrow your search in the Find Pros section of the website to contractors. 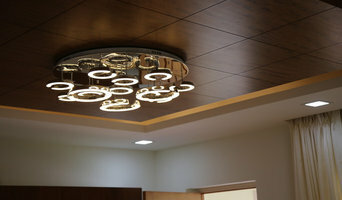 You can also search for photos and contact the contractor who worked on the project.